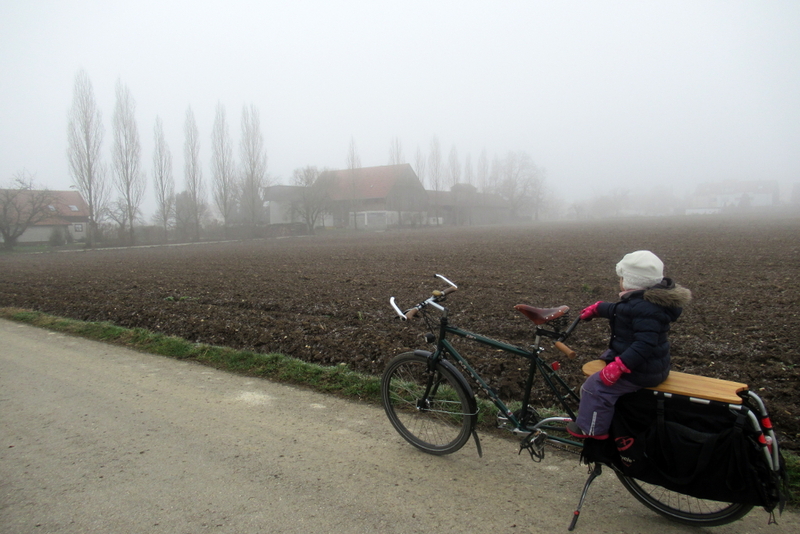 The plan was for a 20k ride with Beautiful Daughter on the back, towards Stuttgart and then through a forest to a rather attractive castle. From there we’d follow a road through the valleys out into the countryside and wiggle back up through the hills to our village. The roads were dry and the wind had died down, so what could possibly go wrong? Well, as we went past the local chemist their thermometer was displaying a temperature of -1°c. This wasn’t too much bother for me as I would warm up quickly hauling Beautiful Daughter up the hill, but it occurred to me that after 20km I’d probably have to chip my passenger off the back seat. Then the Xtracycle gears decided was too cold and started playing up. 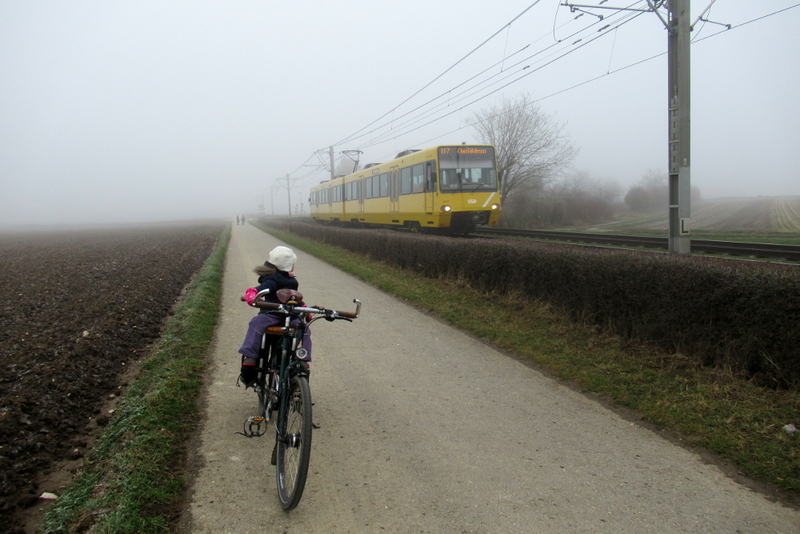 So we cycled around the local villages and followed the tram line for a bit then coasted back over the fields, and spent the next hour under a blanket drinking hot chocolate instead.